Sorry it's another nail post! 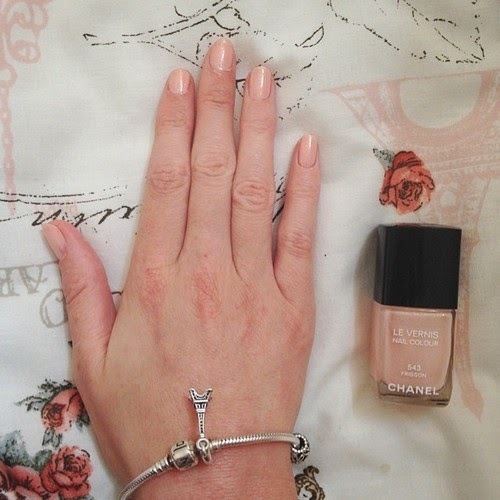 I've been painting my nails a lot recently, as you can tell, usually I go for quite a bright, obvious nail colour, but today I decided to try something different and go for a more subtle natural looking nail. 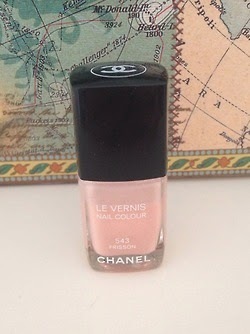 This nail polish is by Chanel, so being a high-end brand is slightly more pricey (£17.50/£18 depending where you buy it), anyway, this is the LE VERNIS nail colour in the shade 543 Frission. 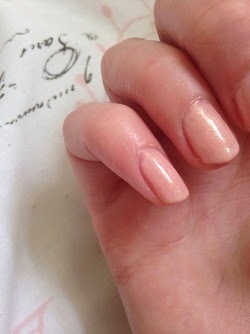 I'd describe the colour as a very pretty pale, natural pink/peach shade. The colours got very subtle glitters in it which sometime catch the light and reflect different colour which I think looks amazing, although the nail colour is very natural subtle nail colour, when you see it up close you can see a very pretty glitter effect and it just gives the nails a nice healthy looking finish and has a nice shine to it. 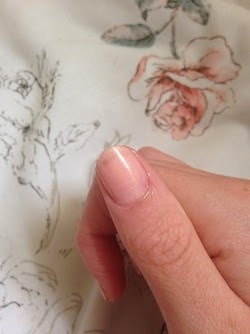 Perfect for a simple everyday nail with any outfit. 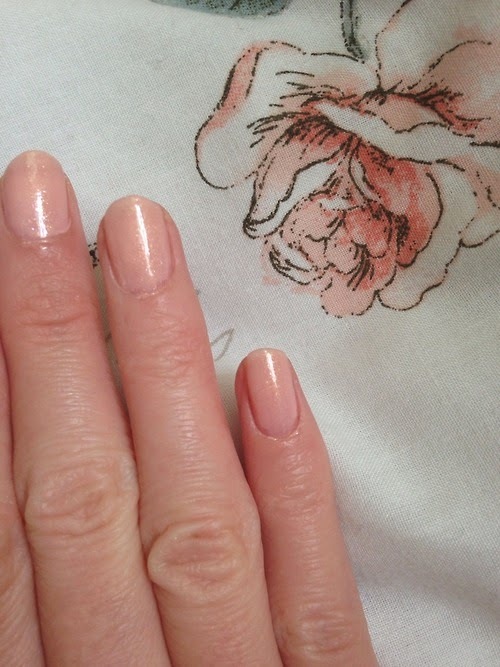 As for the nail polish formula, I found this nail polish spread across the nails really nicely, I used serval coats as I wanted the colour to be fairly visible, however, if you're going for a more natural finish you could get away with the just one coat. The nail polish didn't take very long at all to dry, saving me from smudges (I'm awful when it comes to using my hands too soon after painting my nails and ruining my nails). Anyway if you wanted to splash out a little more on nail colour, I'd definitely recommend this nail polish, I'm definitely going to be on the lookout for some cheap dupes of this colour.